Welcome to Fourwinds Tours & Travel, a full-service educational, student and group tour operator headquartered in Jericho, New York. We have serviced student travel needs for youth organizations nationwide since 1994, including high schools, middle schools, summer camps and non-profits. Fourwinds Tours & Travel specializes in school trips for student groups like marching band, orchestra, foreign language and history classes. We also arrange student travel for events like senior class trips, international tours, service learning trips and even daylong field trips. 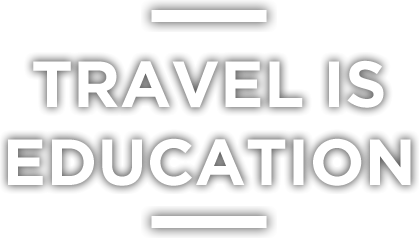 Our expert student travel consultants can customize school trips throughout the United States, Canada or any international destination of your choice. Start planning your next adventure today by getting a free, no-obligation quote. Carnegie Hall is one of the most famous performance venues and stages, in not just the United States, but all the world. Performing at Carnegie Hall will be a memory that you, your students, and their families will remember for a lifetime. Slots are available for next year's Carnegie Hall event on April 1, 2020 and April 29, 2020 - our experienced team will guide you from the very beginning until you exit the stage to thunderous applause. For more information, see our event page. Embark on an African journey during the Year of Return: Ghana 2019. 2019 is the landmark 400-year anniversary of the arrival of the first enslaved Africans in the United States, widely recognized as the beginning of the Trans-Atlantic Slave Trade. It is important to remember this harrowing period in history. The Ghana Tourism Authority (GTA), under the Auspices of the Ministry of Tourism, Arts in collaboration with the Office of Diaspora Affairs at the Office of the President, the PANAFEST Foundation, Cultural Heritage African Tours, and The Adinkra Group of USA is promoting a return to Ghana in order to educate and teach American students. Students will experience historic attractions, vestiges of the African slave trade, pay courtesy calls to local traditional leaders, and learn more about African culture. For an example itinerary, see our event page.